The main opposition leader has slammed the government after two soldiers died of hypothermia while keeping the night guard in the eastern Anatolian province, demanding a full-scale probe into the incident. “Why are two of our troops martyred in the 21st century? Someone has to pay for it. Am I wrong? 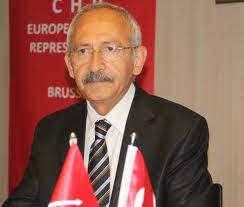 I am defending the rights of the parents of our martyrs,” Republican People’s Party (CHP) leader Kılıçdaroğlu said to his party in Parliament on Oct. 30. Two Turkish soldiers froze to death last week in a provincial area of the southeastern Anatolian province of Tunceli due to the sudden worsening of weather conditions.